FILE: Nurses gathered at Lutheran Hospital's emergency room. Community Health Systems has rejected 10 local doctors' $2.4 billion offer for Lutheran Health Network, saying Monday that the amount undervalues the network by at least $1 billion. It was unclear Monday what the doctors will do next – if anything – in response. The Franklin, Tennessee-based health care system said the buyout attempt began in November. But in the six months that followed, the doctors declined to sign a standard nondisclosure agreement, neglected to specify which assets they wanted to buy, and failed to submit a written offer detailing their financial resources, according to CHS. “The physicians have failed to satisfy any reasonable criteria of a legitimate offer,” CHS officials said in a statement. None of the 10 doctors, which CHS named, could be reached for comment Monday. Four declined to comment through their office staffs, two were on vacation and the other four didn't return phone messages. Dr. James Cameron, president of Lutheran's medical staff, participated Saturday in a staff rally to support the buyout offer. When reached Monday afternoon, Cameron hadn't spoken to any of the doctors involved in the spurned bid. “I'm sure they're all trying to figure out what to do,” he said. Despite CHS' description of a bungled buyout attempt, Cameron wasn't critical of the local physicians. Michael Barranda, a local attorney and member of St. Joseph Hospital's board, said it's clear to him that CHS board members didn't want to sell the hospital network, described as its flagship operation. They made it clear by ending negotiations rather than making a counteroffer, said Barranda, who is also a city councilman, R-at large. “You could give the other party an opportunity to address the issues,” he said, referring to the numerous failures outlined by the company. Barranda believes the statement CHS released Monday was more for the benefit of shareholders than employees. By casting the offer as not being serious, board members are signaling to stockholders that they had no duty to consider it, he said. Board members for publicly traded companies are legally required to act in shareholders' best financial interests. The breakdown in negotiations might be due to the doctors' lack of effort or skill in presenting a buyout offer, Barranda said. But another plausible explanation, he said, is that CHS officials put a self-serving spin on its assessment of the offer. “You're going to trust this company's analysis of whether it's a good value or not?” he asked. CHS officials said they determined Lutheran Health Network's value by comparing it with the 30 hospitals CHS has recently sold or entered agreements to sell. Supporters of local ownership argue that profits generated by Lutheran's network should stay in Fort Wayne. City Councilman John Crawford, R-at large, said the annual amount is $200 million to $300 million. CHS officials have pushed back, saying that amount represents earnings before interest, taxes, depreciation and amortization. Profits ­aren't realized until after those obligations are met. In addition, they said, CHS has paid $400 million in profits in the past decade to local doctors who own a stake in some of the network's hospitals. That money has remained in the Fort Wayne community, they said. CHS acquired Lutheran Health Network in 2007, when it bought Lutheran's parent company Triad Hospitals Inc. for $5.1 billion. 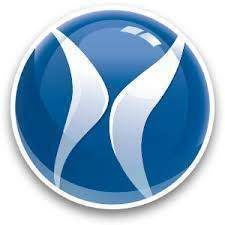 Lutheran Health Network was created and owned by Brentwood, Tennessee-based Quorum Health Group in the 1990s before being acquired by Plano, Texas-based Triad in 2001. Dozens of doctors have an ownership stake in Lutheran, St. Joseph, Dupont, Kosciusko Community, The Orthopedic Hospital and The Rehabilitation Hospital, which are all part of Lutheran's network. News of the buyout offer's rejection didn't go down easily among those who supported it. Cameron, president of Lutheran's medical staff, described himself as very disappointed. Those are the same words used by Crawford, who treats patients at both Lutheran Health Network- and Parkview Health-owned hospitals. “We can always hope that negotiations resume,” said Crawford, who is also a city councilman, R-at large. Both Crawford and Cameron wondered how physicians, nurses and other staffers will continue to work constructively with CHS after publicly airing their grievances. “As we move forward as a medical staff, it's going to take time to build trust and belief that there will be a change” in the relationship between the local staff and corporate officials, Cameron said. Cameron led a staff meeting last week when about 110 participants voted unanimously to support the buyout effort. He also addressed a crowd of about 150 supporters at a rally Saturday. Among the complaints aired was a belief that it has taken too long for Lutheran network's equipment and technology requests to be reviewed and approved by CHS – if they are approved. Since CHS officials became aware of local workers' dissatisfaction late last year, they redrew the corporate structure to allow Brian Bauer, Lutheran Health Network's CEO, to report directly to Tim Hingtgen, CHS president and chief operating officer. CHS announced two weeks ago that it will invest half a billion dollars in Lutheran Health Network over the next five to six years, based on a capital funding request Bauer submitted. But even that wasn't enough to appease critics. Barranda pointed to the announcement itself as an example of the distance – both physical and emotional – between the corporate owners and local workers. When other out-of-state parent companies make similar investment announcements, officials fly in to deliver the news in person, he said. CHS sent out an email after regular business hours. 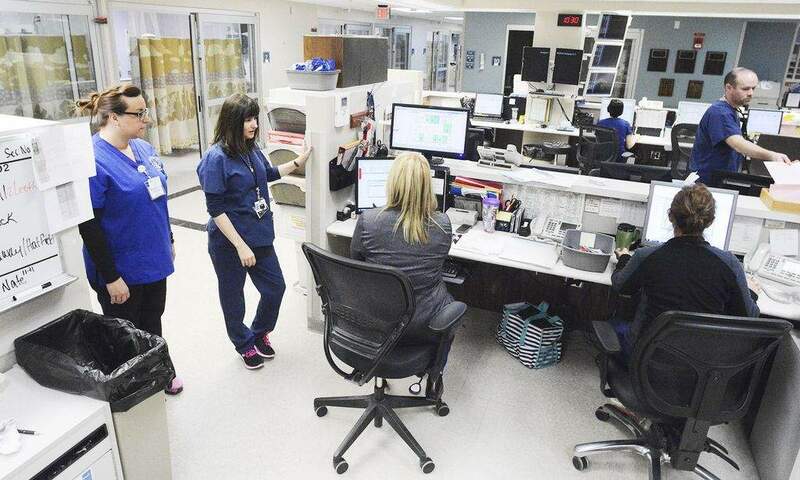 CHS officials, who flew to Fort Wayne on Monday, reaffirmed their commitment to making $500 million in Lutheran Health Network upgrades over the next five to six years. They said the doctors who presented the buyout offer didn't provide any assurance that a new owner would match the promised investment.